Sarah Palin will appear with Governor Jan Brewer in Buckeye, Arizona as a featured speaker for the “Traveling Wall”, a tribute to Vietnam Veterans. According to a Yahoo News article that was released earlier today, the Traveling Wall is an 80% replica of the Vietnam Veterans Memorial Wall in Washington, DC. The wall will be on display May 9th-12th at Earl Edgar Recreational Facility and there is a schedule of events here. This Saturday at 3pm in downtown Phoenix, join me and Sarah Palin at Hope & A Future’s 4th Annual Strikeout Child Abuse Walk. The walk concludes at Chase Field where we’ll watch the Arizona Diamondbacks. Governor Brewer also shared the following link to Hope and a Future. Jan Brewer has the cojones that our President does not have, to look out for all Americans, not just Arizonans, but all Americans in this desire of ours to secure our borders and allow legal immigration to help build this country. In an interview with Chris Wallace for Fox News Sunday Sarah Palin blasts Barack Obama for propensity to blame President George W Bush for his own failures. She rightly points out that Obama was a United States Senator, and part of the Marxist-democrat controlled Congress that created many of the problems we are facing today. Sarah also takes a big swipe at Obama’s very manhood when talking about the situation in Arizona, and the nation as a whole. When talking about the economy, Sarah said the democrats were “all wet” on plans to allow the Bush tax cuts to expire. “It’s idiotic to think about increasing taxes at a time like this.” Wallace then repeated the Marxist-democrat spin that keeping the tax cuts would raise the deficit. This is, of course, nonsense. The reason unemployment is so high is businesses, especially small businesses are scared. The situation is so unstable they simply don’t want to hire, or make large capital purchases. Low taxes means they can afford to hire, and more people working, and buying things add to the tax revenue. It’s a proven fact that lower tax rates see an increase of receipts to the treasury and higher taxes see less. This was true when Kennedy lowered taxes, when Reagan lowered taxes, and of course, when Bush lowered taxes. The only way to control the deficit is to cut the insane runaway spending the Obama regime has embarked on. Of course, Wallace brought up 2012. 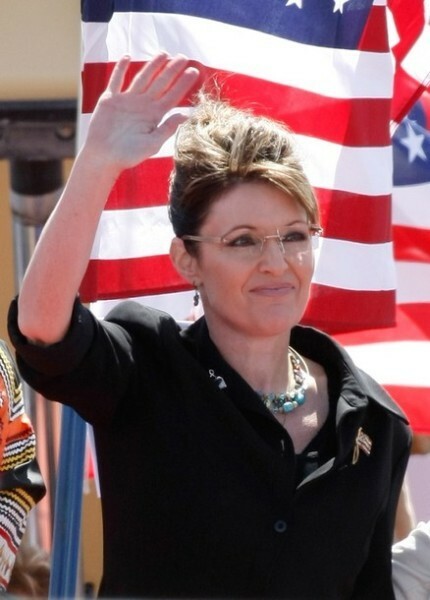 Now most are looking forward to a presidential run by Sarah in 2012. We feel she will be one of the finest Presidents we’ve had in quite some time, and her record certainly backs that theory up. With that said, she, like the rest of us, is focused on November 2010 like a laser. If Conservatives don’t take back Congress in 2010, there probably won’t be anything left to be President of in 2012. Loved her answer about polling, and she takes a nice hit at the lies the media conspired to tell, with their coordination through Journolist. Interviews like this are exactly why we support Sarah Palin strongly. This is a woman that doesn’t mince words and doesn’t talk a bunch of nonsense. Sarah Palin is a strong leader who DOES have the cojones to look out for all Americans on every issue we face. She is a true leader.